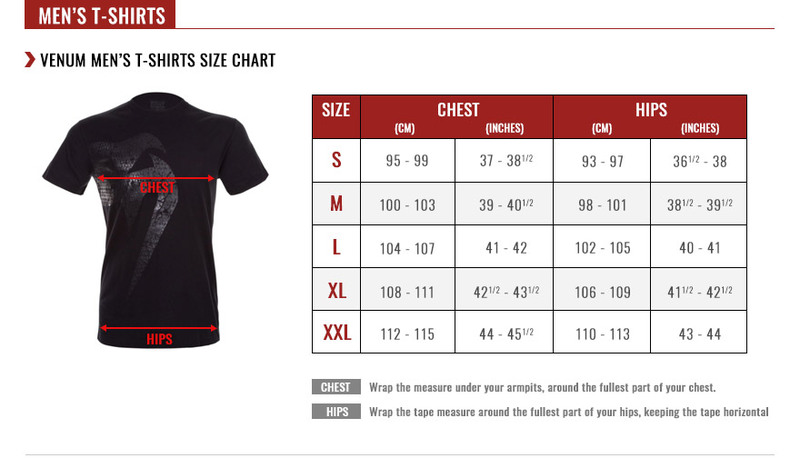 Check out version 2.0 of the Venum Training Camp t-shirt featured at Venum Training Camps! Thanks to its cut, the VTC 2.0 men's t-shirt gives you a light, comfortable fit with maximum freedom of movement. Ideal for fighting sports of all kinds: Muay Thai, MMA, Boxing and CrossTraining, this t-shirt features Dry Tech technology to keep you cool during intense training sessions. The VTC 2 t-shirt features Venum logos screen printed on the front, back and sleeves. Dry Tech technology (ultra breathable). Round neck, fitted cut t-shirt. Do not iron directly on graphics.